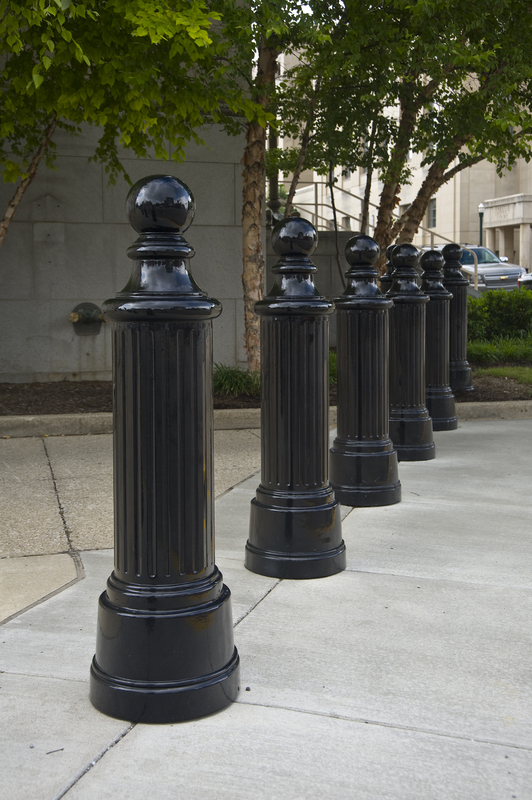 All Ironsmith bollards are cast in gray iron or aluminum, with a minimum 7/16″ wall thickness for increased strength. Most styles can be ordered to accommodate chains. Bollards are usually permanently embedded in the pavement. Alternately, they may be set in a steel sleeve, provided by Ironsmith, to be easily removed for emergency access.